The Balance Point brings healthful balance to our clients by offering nutritional solutions, lifestyle change strategies, and comprehensive care and evaluations. The body has the wonderful ability to heal itself, even under the most serious of circumstances; but, like a damaged building in need of repair, it needs the proper tools and experienced workers to complete the job. At The Balance Point, we provide the necessary supplies that your body needs to make repairs through acupuncture, massage therapy, essential oils, homeopathy, nutrition therapy, and muscle balancing techniques. In addition, through comprehensive and thorough evaluations, we are able to identify and remove any obstacles to healing that exist to achieve maximum results. Our focus is to identify the root cause of your symptoms so we can treat the cause of your pain. Whatever the problem, there is an obstacle or imbalance in the body's systems. By removing the obstacle and clearing the imbalance, it is possible to alleviate your chief complaint. Read more about our therapies and services. We will listen. Everyone has a story to tell. That story is as unique as is the individual telling the story. Not only do we enjoy hearing that story, we absolutely must listen to it because it gives us insight into why you are having the symptoms you’re experiencing. When we listen to what you say we listen to what your body is telling us. We will do our very best to give you the comprehensive care you require, using the highest quality and safest supplements available. We will educate you about the reasons why you may be suffering from illness and teach you how to take control of your health with simple and effective lifestyle modifications. "The therapies at The Balance Point are comprehensive. The body heals in phases, so a different modality is required for each phase of healing. I use a calculated combination of therapies, custom for each client. 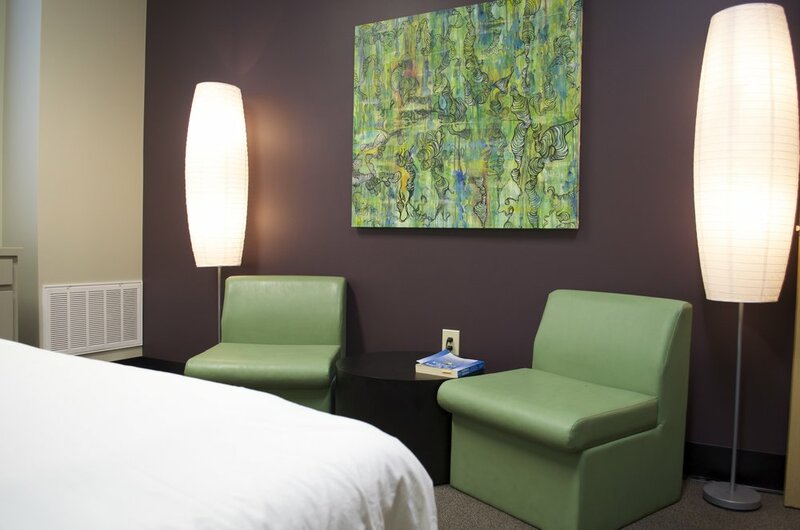 We can accommodate the specific need your body has at any given time. I guarantee my work. If no improvement is experienced, there is no charge for the visit. That's how confident I am in the ability of our solutions to help people." MuQi s a licensed alternative therapy health professional and certified acupuncturist who has been providing comprehensive care to clients since 1998. Like many people, I grew up in a household of unpredictable chaos. Added to an abusive, alcoholic father and codependent mother was the nutritionally deficient, unhealthy lifestyle that usually accompanies a family living in poverty and violence. When I was a boy, I examined my family, immediate and extended, and I observed very few moments of happiness among its members. In fact, misery seemed to abound and I was just as unhappy. At age 10 I decided I had to be different and make different choices if I was going to be happy. So, I closely observed behaviors, attitudes and habits, and eventually figured out how to do things differently from the other members of my family, most times just making the opposite choices. Unfortunately, the difference I craved didn’t extend entirely to my diet and health issues. I still had many of the same eating patterns that kept my family sick. I can remember from my youth on into my adult life the excruciating abdominal pain and praying for relief with almost every bowel movement. I can remember being afraid because I didn’t know what was happening to me and wondering if I had some life threatening condition. I remember embarrassment because of the gas, and my intestines rumbling so loudly everyone knew it was coming from me. The difficulty of battling obesity. All of that changed as I learned about my body, about food, and about lifestyle from a man I met and made friends with, Dr. Brazos Minshew, who is an acupuncturist and naturopathic doctor. He held stress management workshops that were life changing to me. I found the key to good health and a happy, purposeful lifestyle. My desire to be different eventually lead me to accept his invitation to work with him in his practice part time. The more I worked with him the more I learned, until one day he asked me if I wanted to be trained in acupuncture and naturopathic medicine. This occurred in Texas during a time when there was no school nor did licensing exist, so I studied as an apprentice for 3 1/2 years. I received a diploma in acupuncture, a diploma in naturopathic medicine and a license in massage therapy. I moved to the Tulsa area of Oklahoma and opened my me practice in 2000. Here I live my purpose to help people and to teach them how to heal their own bodies so they aren’t dependent upon me or medicine or doctors for good health. I challenge all of my clients to put me out of business by learning the lessons of health, happiness, and self healing!